First Resources’ 2Q18 nucleus FFB production came in within expectations. We forecast core net profit of US$22m-25m for 2Q18, flat q-o-q, but marginally higher y-o-y, mainly dragged down by higher effective tax rate on withholding tax expenses. We expect First Resources to report better q-o-q and y-o-y PBT supported by higher CPO production. Downstream operation is likely to be better q-o-q on better refining margin and higher biodiesel sales volume. Maintain HOLD and target price to S$1.60. Entry price: S$1.40. 2Q18 FFB production within expectations. First Resources’ 2Q18 FFB production came in within our expectations. We forecast core net profit of US$22m-25m for 2Q18 (1Q18: US$25m, 2Q17: US$24m). The weaker core net profit q-o-q can be largely attributable to higher effective tax rate on withholding tax expense due to dividend income from Indonesia subsidy. At PBT level, we expect First Resources to report better PBT q-o-q and y-o-y (+8% q-o-q, +20% y-o-y) on the back of higher CPO production and small inventory drawdown q-o-q, while the y-o-y improvement will be supported by strong production despite lower CPO ASP. 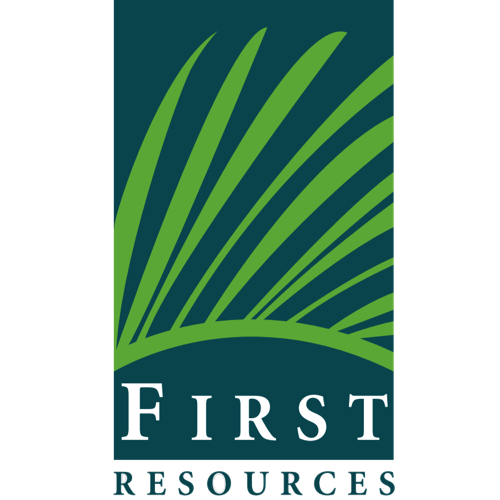 First Resources targets to release its 2Q18 results on 13 August after market close. 2Q18 FFB nucleus production flat qoq, but higher yoy. First Resources reported FFB nucleus production of 702,795 tonnes in 2Q18, which was flat q-o-q, but significantly higher y-o-y. The strong FFB nucleus production y-o-y was supported by a recovery in FFB yields and new mature areas. There will be 16,000ha of new area coming into maturity in 2018 (10.8% of 2017 mature areas). 2Q18 FFB nucleus production accounted for 45% of our full-year estimate. We are expecting FFB production growth of 18% y-o-y for 2018, slightly higher than management’s guidance of 10-15%. Significant increase in FFB purchased. FFB purchased increased substantially q-o-q and y-o-y in 2Q18 as the FFB purchased was to maintain utilisation rate of the new mill which commenced operations in 2H17. The mill was built to cater to upcoming production at its Kalimantan estates. Our FFB purchased forecasts for 2018 is overly optimistic, with 1H18 FFB purchased only accounting for 23% of our full-year forecasts. Thus, we might need to cut our FFB purchased forecasts by 50% should 2H18 FFB purchased come in similar to 1H18. The cut in forecasted FFB purchased will adjust 2018 net profit forecasts downwards by 6%. CPO production higher qoq and yoy. Despite FFB production being flat q-o-q, CPO production increased 1.9% q-o-q in 2Q18 on the back of higher external FFB purchased and slight improvement in oil extraction rate (OER). Meanwhile, the y-o-y increase in CPO production was higher than the y-o-y rise in FFB production mainly due to a better OER of 23.0% in 2Q18 (2Q17: 22.2%) and significantly higher FFB purchased. In 1H18, CPO production increased 27.2% y-o-y. Expect better OER in 2018. In line with industry trend, OER was lower at 22.2% in 2017 (2016: 22.5%) due partly to the lagged impact from the 2015 El Nino. In 1H18, OER was 23.0% (1H17: 22.3%). We are expecting OER of 22.8% for 2018 (2016: 22.5%, 2017: 22.2%). Lower CPO ASP will drag earnings. Dumai/Belawan CPO ASP was weaker q-o-q and y-o-y in 2Q18 (-4.0% q-o-q, -8.4% y-o-y) due to expected CPO production pick-up in 2H18 and weak exports. Downstream operations could be better q-o-q, but weaker y-o-y in 2Q18. We expect better q-o-q, but weaker y-o-y refining earnings in 2Q18. Refining volume is expected to be higher q-o-q and y-o-y on the back of more feedstock available in the market. Meanwhile, biodiesel sales volume and margin for both domestic and exports are expected to be better in 2Q18. For the latest Indonesia biodiesel allocation for May 17 to Oct 18, volume allocated to First Resources is 9.4% higher h-o-h, while flat y-o-y. We expect biodiesel to continue to contribute positively to First Resources’ earnings. No change to our earnings estimates. We forecast EPS of 8.7 US cents, 10.1 US cents and 11.3 US cents for 2018-20 respectively. Maintain HOLD and target price of S$1.60. Our target price is based on 13x 2018F PE, or -1SD of 5-year mean, which is in line with sector peers’ valuation. The below-mean PE multiple is due to the weak CPO price outlook that will lead to weak earnings in 2018. We are expecting EPS to decline 2% y-o-y for 2018. Despite share price having declined from a high of S$1.92 on 29 Jan 18 to a low of S$1.54 recently, we reckon this is still not a good time to buy into First Resources due to an absence of strong catalysts to boost share price in view of its weak earnings outlook. First Resources’ earnings are still largely driven by upstream operations and this makes its earnings highly sensitive to CPO prices. Any increase in CPO selling prices from our base case of RM2,400/tonne would be positive to earnings. Stronger-than-expected production recovery will to First Resources’ earnings.